The weekend finally arrived and after all the snow, we were looking forward to the sunny, above freezing day that the forecast promised us. 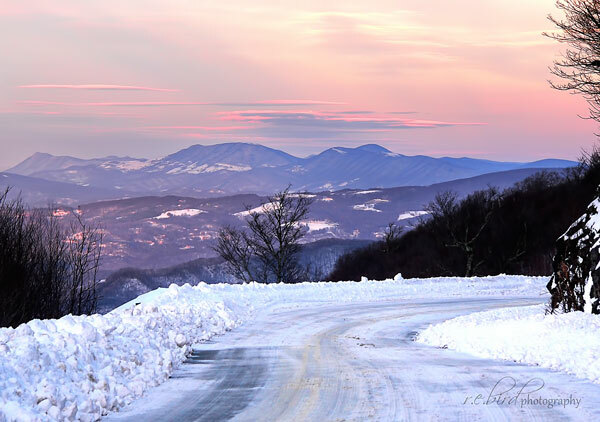 After our typical cups of morning joe, we decided a drive to the Blue Ridge Mountains sounded like a novel plan. Considering it was already past 1:00pm by the time we got out the door, we knew it would be impossible to make it to our proposed destination but continued on the path set before us figuring we'd find something along the way. We like it that way. Spontaneity creates memories. We really didn't have any plans for a hike or anything along those lines as I was on call and it would be my luck that I'd get a call just as we set foot on a trail. Yes, that has happened before. Also, Robin has been plagued with some major sinus congestion so she didn't need to be out in the cold for any major length of time. We headed north as I thought if we did make it to the Blue Ridge Parkway, I'd like to head to Linville Falls, and the best way to get there would be over Roan Mountain in Northeast Tennessee. With this plan in mind I knew we would at least get to see some of the sizable snowfall in Elizabethton, at Carvers Gap on the AT, and Robin would have the opportunity to take some photos. 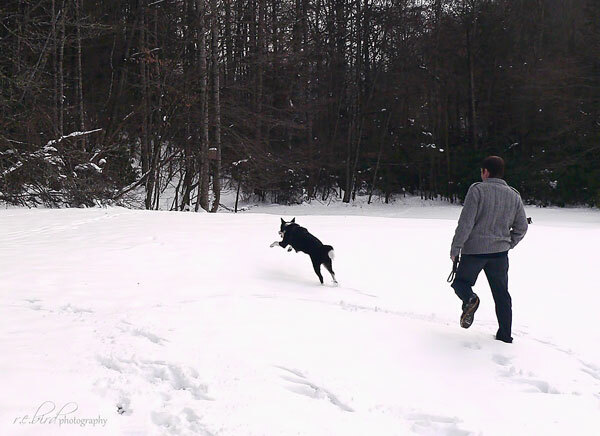 We also knew that Clover would have the opportunity to get outside and have a little fun. She's been cooped up most of the week, and a bored border collie in your house is comparable to a bull in a china shop. 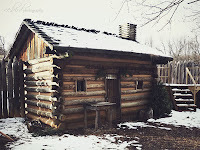 When we got to Johnson City we found that Sycamore Shoals State Historic Park was along the way and we had never been there before. Of course we had to stop and check it out. There is a nice museum display and a theatre inside the visitor center which covers the rich and important history of the area. For the history buffs out there, it was here at Fort Watagua where the Overmountain Militia mustered and marched to the Battle of Kings Mountain to defeat the Red Coats and turn the tide of the Revolution. After our walk around the fort we decided to continue our journey towards Roan Mountain State Park. Upon arriving we stopped at the visitor center so Robin could snap some shots and to let Clover stretch her legs a bit. Boy, did she stretch them! We went behind the visitor center where the Peg Leg Mine and Cloudland Nature trailheads are located. 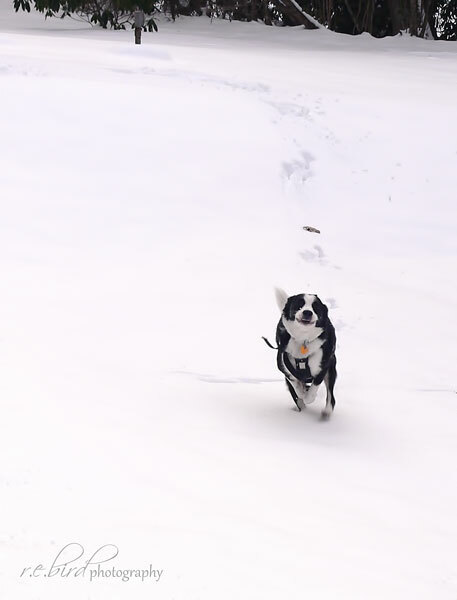 Since there was no one around, we let Clover "The Hover Dog" loose from the leash and she had an absolute blast running and bounding about in the 8" deep snow. 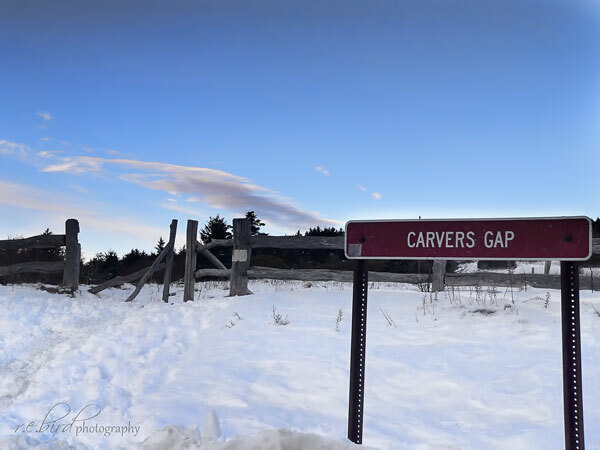 Once we were done at the visitor center, we decided to press our luck and head up the mountain to Carvers Gap. I don't know what it is, but when I'm that close to the Appalachia Trail, I just have to see it and most times put my feet on it. Unfortunately as we headed up, we soon realized that we made a stupid decision, but it was too late. There was no where to turn around as all the pull offs and turn around points were covered in snow from where the plows had been through. 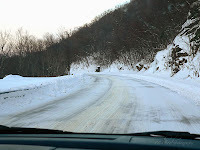 There was still ice and snow covering the road in spots where the sun hadn't reached and as we continued up the mountain it got to a point where the whole road was covered in ice and snow until we reached the Gap. 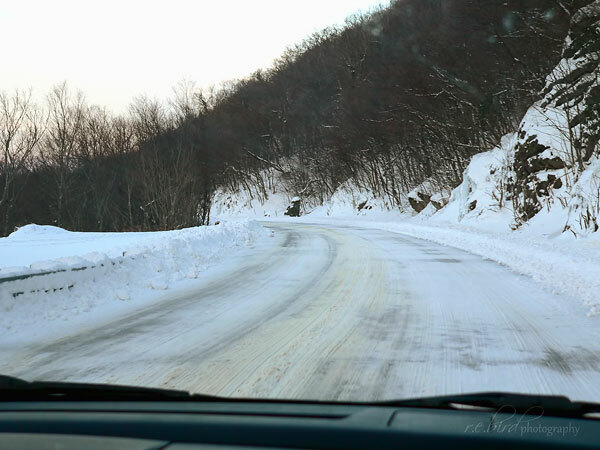 Luckily as we started up the mountain, we passed a snow plow that had just made it's way down the mountain which meant that the ice and snow was loose enough to provide traction as we drove. 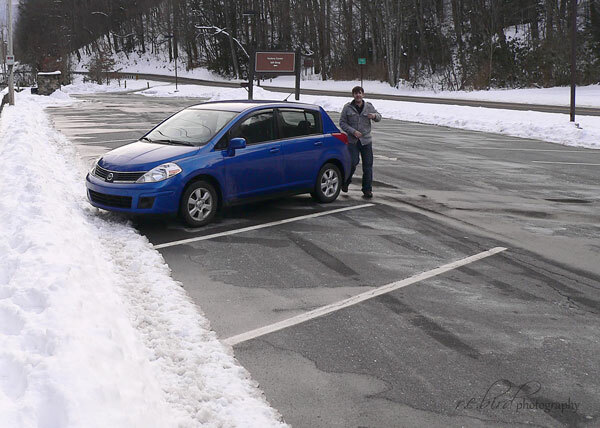 At the top of the mountain, at Carvers Gap, there were lots of vehicles (SUVs and 4-wheel drive varieties) in the parking area, which was covered in plowed snow. It appears that people had ventured out for some cross country skiing and the like. Since it was getting late, everyone up there was packing up their gear and calling it a day. It looked like they all had a ton of fun. 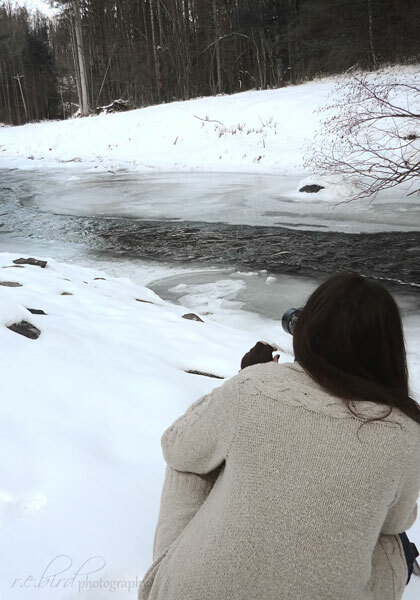 We were able to get turned around up there and we slowly made our way back down the mountain but not before snapping some shots of the snow, the AT, and the breath-taking views on the way down. Overall, it was a wonderful day out even if Robin was ready to beat me by the time we got back down off the mountain in our little Nissan Versa hatchback. I couldn't help but giggle at her. All the snow was beautiful and it was great to get out for a nice drive. 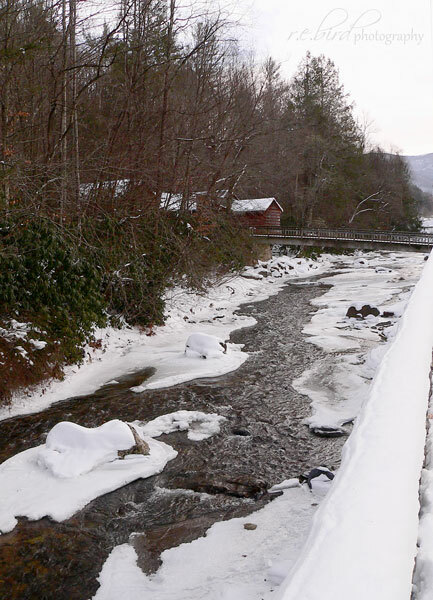 Maybe next time we can get out earlier and make it to the Blue Ridge. P.S. 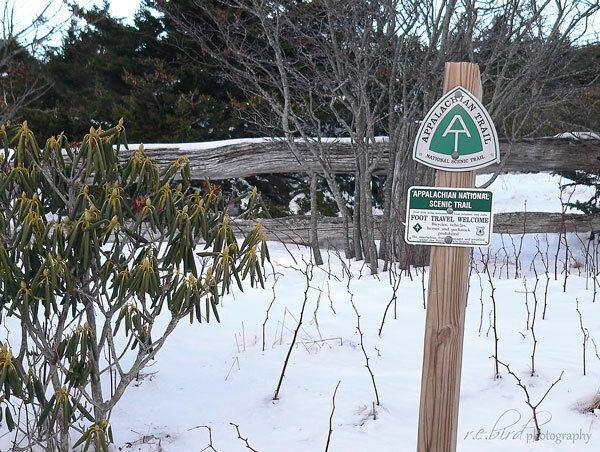 Appalachian Trail report at Carvers Gap - Lots of snow and this rhododendron says, "It's freakin' cold!"